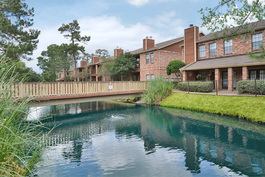 The Cottages of Cypresswood is an apartment community near Old Town Spring and The Woodlands. Both areas have become premier destinations for diverse shopping, dining and entertainment options. Once a historic railroad town, Old Town Spring now houses a quaint shopping complex with boutiques, restaurants and exciting festivals. Browse an assortment of clothes, accessories and gift items at Southern Glitz and Glam, or shop for children’s clothes and toys at Jitterbug Boutique. When you get hungry, order pork ribs or moist brisket at Corkscrew BBQ then top it off with their famous blueberry cobbler. Visit in springtime and attend Old Town’s famous Crawfish Festival, or drop in between the holidays for their annual Home for the Holidays celebration. Venture a few minutes north of the apartment community and experience everything The Woodlands has to offer, too. Savor brunch at Black Walnut Café or Jasper’s before taking a leisurely stroll through Northshore Park. For a unique experience, take a boat ride to a nearby concert or restaurant while sightseeing in style on a Woodlands Waterway Cruiser. Shop at popular stores, including JC Penney, Fossil, American Eagle Outfitters and Game Stop at The Woodlands Mall. Stop by The Cottages of Cypresswood and explore the surrounding neighborhoods today.